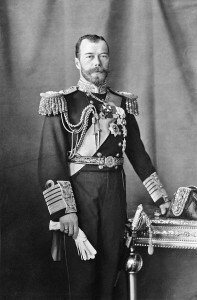 Emperor Nicholas II c1909, Boissonnas & Eggler. Hector Edward Williams enlists. Hector is commemorated on the Centenary of WWI in Orange Honour Roll; he would be killed in action in France on 3 May 1917. Responding to American protests over U-boat attacks on neutral shipping, Germany announces their withdrawal from the English Channel, confining operations to the Mediterranean Sea. This entry was posted on September 18th, 2015.